From the original creators of the spring loaded technology: Built for the person who needs instant organization, ease and safety of a simple and effective design. 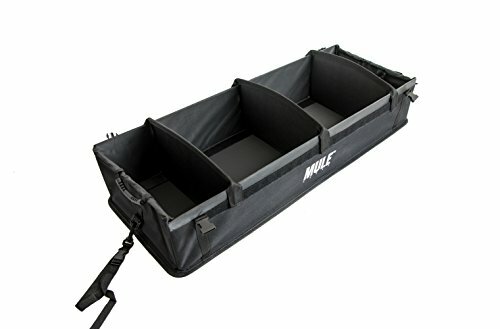 The Mule Cargo spring loaded organizer system will unfold and self pop open to organize your trunk or cargo space. Movable dividers allow you to customize storage for any shape and size of cargo. Non slip bottom. Opens to 38 inch x 15 inch x 7 inch. Folds flat for ultra convenient storage when not in use. Buy direct from THE ORIGINAL manufacturer and save on other generic options. Get the same organizer as found in high-end vehicle brands. If you have any questions about this product by Mule Cargo, contact us by completing and submitting the form below. If you are looking for a specif part number, please include it with your message.